Jenni Fagan has won accolades as an author, screenwriter, playwright and poet. Here she talks about all these interconnected disciplines. Poems are a pure form. I don't go after a poem, club it over the head and make it work, I don't even look it straight in the eye. It's also the only medium I always write by hand. Sometimes it feels like learning to walk on snow without leaving a footprint, impossible but somehow poems can do that, the best ones reconnect me to life and the world in a vital way. With novels I sit down day after day and work on them. I work when it's raining, when I'm ill, when it's sunny, when I should be elsewhere, or when I want to do anything else but type. I turn up to write when I don't know what is happening, when I am freaked out, when I'm tired, or happy, or lonely, or sad. Whatever else is going on in my life I will sit down each day and work on that novel. Each novel can take years. I might rewrite the opening literally a hundred times. A novel needs time to become clear, to grow into itself, to feel real. I am writing the screenplay adaptation of my debut novel. I work closely with Sixteen Films who are making the film. We have long meetings in a little attic room in Soho where each line and every piece of dialogue or description is taken apart by a small core of people. We rigorously argue, debate, or discuss each line or action. I have really enjoyed testing the boundaries of adaptation and as the only screenwriter working on it I've learnt so much. I was also able to draw upon my earlier experiences in screenwriting and playwriting and that helped a lot. When you edit, put your ego aside and be as critical as you can be, don't write the life out of something but don't indulge yourself with over attachment, just because you like it, it has to serve the novel or poem or screenplay and if it doesn't then cut it out, pin it up somewhere, and use it for something else later. All truly great writing comes from a place of truth. If it is authentic then someone else will connect to it. If it is superficial, no matter how pretty the prose is, or how clever the poem is, it won't get anyone else in the gut or heart so it won't stay with them. You have to trust your instincts and be respectful of your imagination — give it free reign, don't limit yourself. If it is scaring you then write it, if you are daunted then you absolutely have to try it, if you are struggling then you might just be writing the piece that will elevate your work to the next level. I can't do monogamy with words. Each form gives me something different, they strengthen the others and I never get bored. 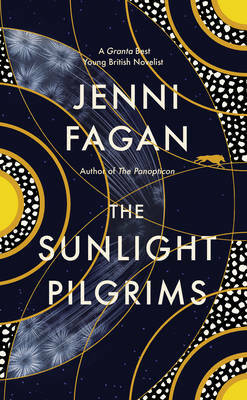 Jenni fagan's first novel was the enormously successful, The Panopticon, and her new novel, The Sunlight Pilgrims is out tomorrow. Set in a Scottish caravan park during a freak winter - it is snowing in Jerusalem, the Thames is overflowing, and an iceberg separated from the Fjords in Norway is expected to arrive off the coast of Scotland - The Sunlight Pilgrims tells the story of a small Scottish community living through what people have begun to think is the end of times. 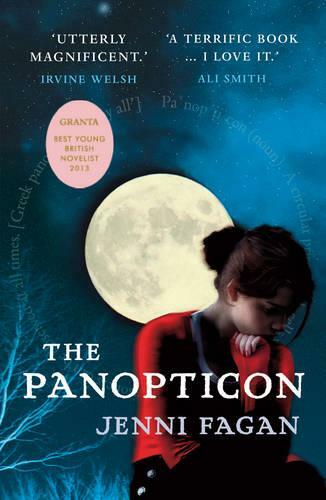 JENNI FAGAN HAS BEEN NAMED AS ONE OF GRANTA MAGAZINE'S BEST OF YOUNG BRITISH NOVELISTS 2013SHORTLISTED FOR THE JAMES TAIT BLACK PRIZE FOR FICTION AND THE DESMOND ELLIOTT PRIZE 2013Fifteen-year old Anais Hendricks is smart, funny and fierce, but she is also a child who has been let down, or worse, by just about every adult she has ever met.